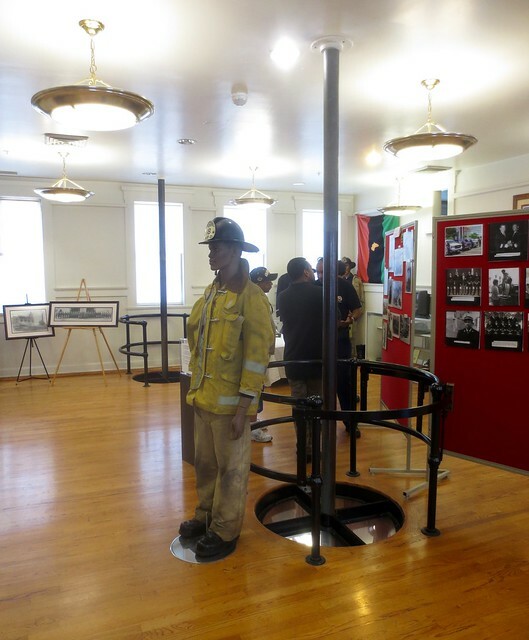 Yesterday, Dr. Pookie and I went to the African American Firefighter Museum on S. Central to go to their first (annual?) BBQ contest/benefit. 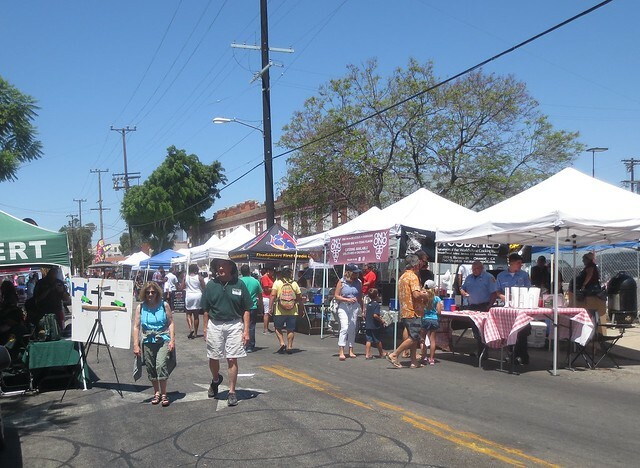 On a day when 90,000 people were going to the Coliseum to see the Rams play in LA, it was a chance to do a small-town kind of thing in a big town. Of the food we tasted, I think Mark Curry's baby back ribs were the clear winner. 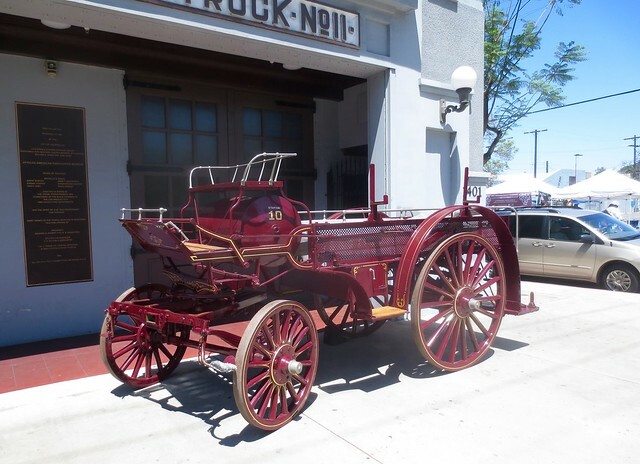 The museum had memoribilia and clippings, but the best thing about it is its location in a firehouse from 1913. Back in the day, it was part of the LAFD's segregated force. 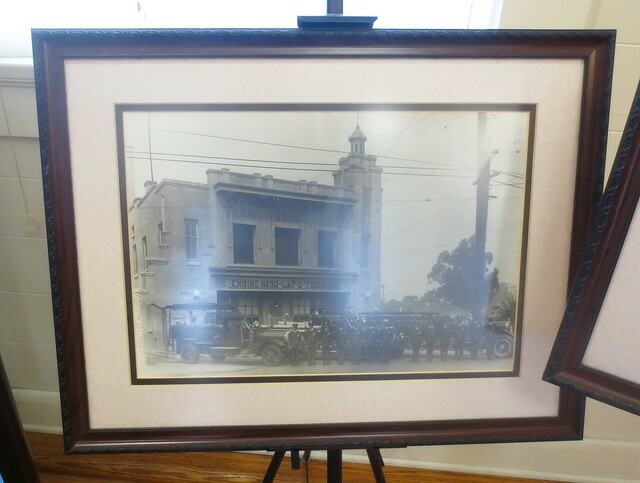 The building is now on the register of historic places. 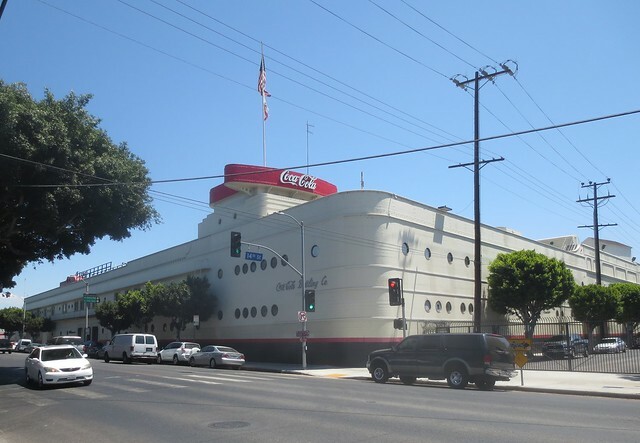 The museum sits kitty-corner from the 1939 Streamline Moderne Coca Cola Building, one of the locations from my road rally.